It's Sunday, and like almost every Sunday before it, Fortnite's newest store update has brought with it a new outfit. And like all other outfit's this season, it's another skin that was leaked previously. 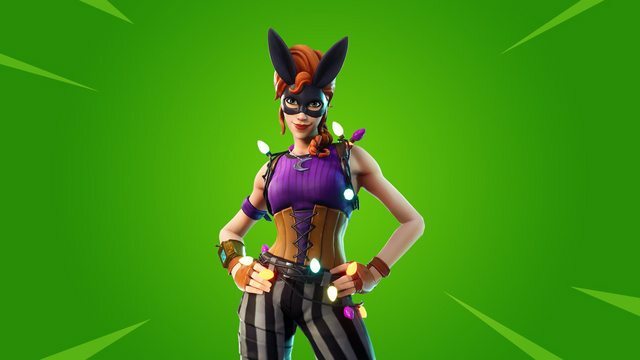 The new outfit to be added to the game will be the "Bunnymoon" outfit. 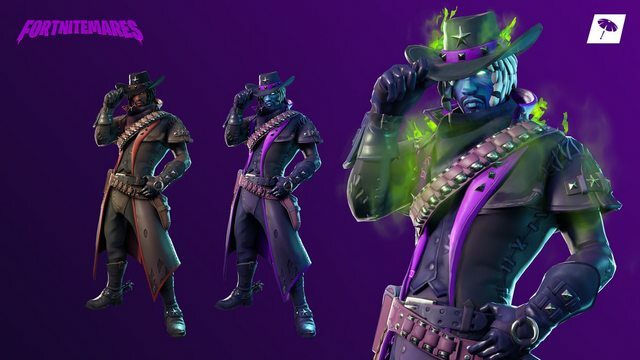 And unlike almost all new skins this season, this one won't drain your V-Bucks, because it's a "common" (green) outfit, meaning it will only cost 800 V-Bucks. As you can see, in addition to a new outfit, Epic Games also released a brand-new emote. And like Bunnymoon, the new "Treat Yourself" celebrates Halloween. The emote features a trick-o-treating pumpkin, candy, and of course chowing down. As you probably can tell from its complexity, the Treat Yourself emote is only 500 V-Bucks. 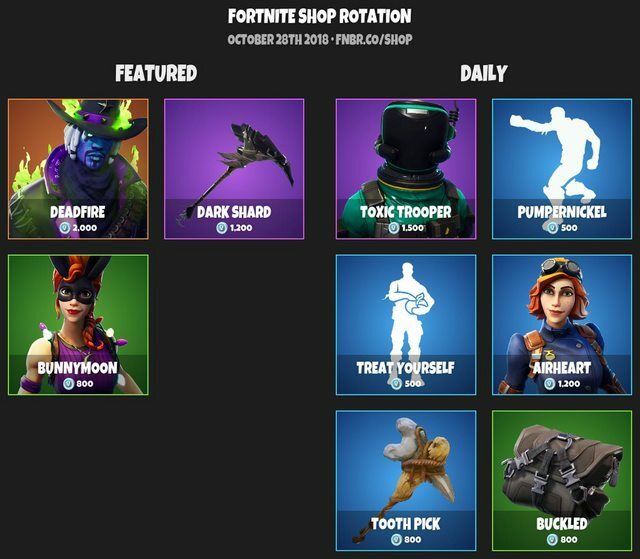 Meaning, if you want to cop every new item in tonight's store update, you will need to get 1,300 V-Bucks, which isn't alot when you consider that's less than both Legendary and Epic outfits. The Deadfire outfit and Dark Shard harvesting tool are also back in the store. However, unlike the new items, those will still cost you a pretty penny. The Skin is a Legendary outfit, meaning it will set you back 2,000 V-Bucks. Meanwhile, Dark Shard will ask you to get an additional 1,200 V-Bucks. Fortnite is available for PlayStation 4, Xbox One, PC, Nintendo Switch, and mobile devices.